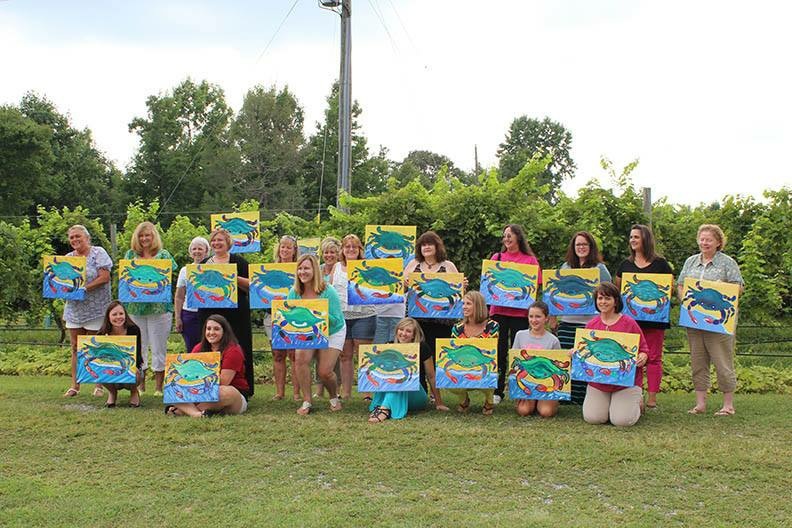 Book Nancy for private painting parties at her studio, your home or venue of choice. 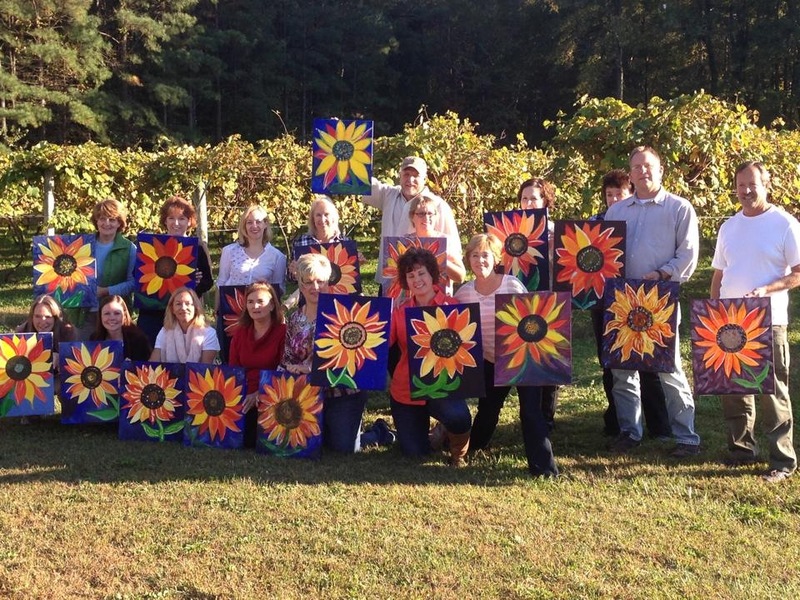 Below are images of painting classes that she has hosted at various vineyards along the Chesapeake Bay Wine Trail. 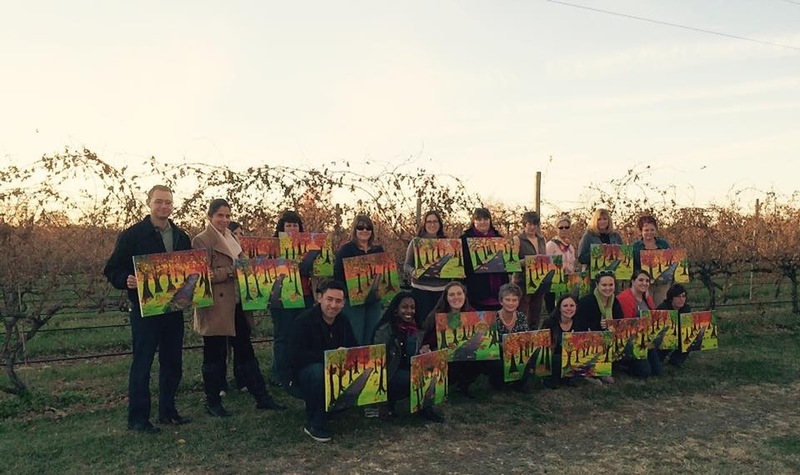 Contact Nancy for pricing and details.